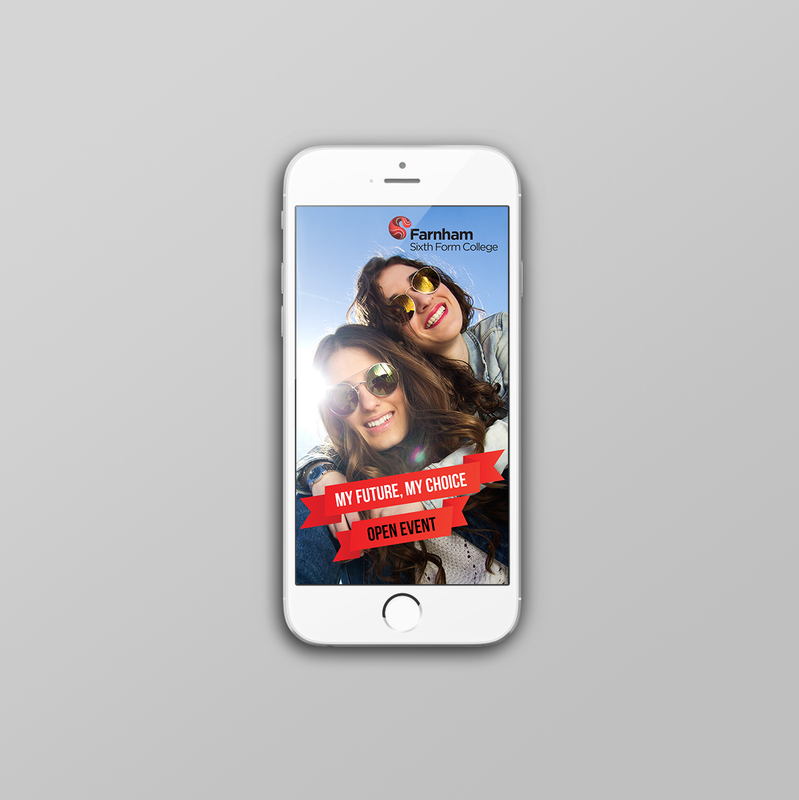 Geofilters are creative overlays for Snapchat that capture where you are or what you’re up to in a specific location – a digital equivalent of those cut-outs you put your head through to have your picture taken at the seaside. Guildford College asked us to create separate Geofilters for its Guildford and Farnham campuses to help drive social media traffic during its Open Day. Our Geofilters incorporated the Guildford College logo, a ‘Class of 2018’ banner and the hashtag #goingtoguildford, to encourage prospective students to share their images of the day, and promote the College among their peer group.